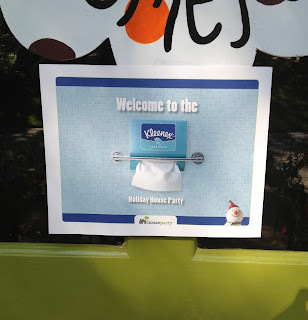 I am not sure what my friends thought I was getting them into when I sent invites out for The Kleenex Hand Towels House Party Event. It said come for lunch and some crafting…. Since most of them have been involved in one of my blog events I don’t think they were too nervous. OK so maybe they are getting a little hint as to what we are going to be talking about here. 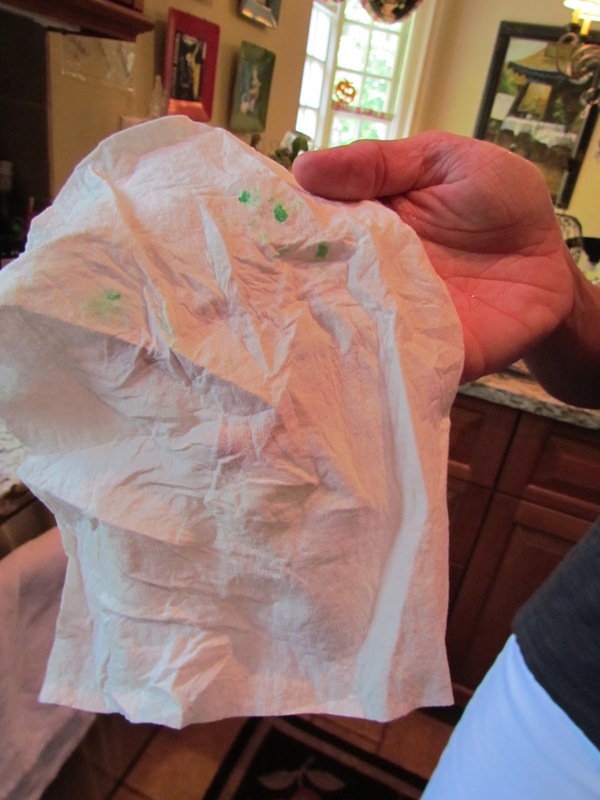 Is it a tissue or a hand towel. Come on in and find out what was in store for my brave friends. My dining table was converted into a crafting table with supplies provided by both House Party and myself. They graciously provided the Kleenex Hand Towels and these cute soap party favors. But what are they possibly doing with these things. First they helped themselves to some lunch of Tortilla Soup if you read the Soup post you will know they all arrived about 45 minutes before me!! Email slip. Always proofread your emails. Their tummies full, now for the crafting on a beautiful fall day. 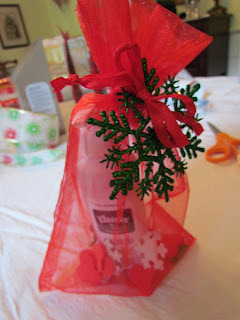 Thanks to our interior design friend we were given hints on how to approach wrapping these oddly shaped boxes that would be centerpieces in our guest bathrooms for the holiday season. Here she is showcasing your masterpiece bow. The balloons are there as she was celebrating her 40th birthday with us. She must be a good friend to share her birthday feeding my blogging craziness. The children had fun applying stickers to the soap dispensers that were great party favors the party goers can keep themselves or they make great gifts for grandparents or teachers. 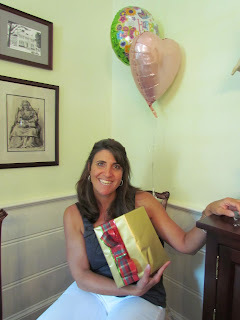 So what did my friends have to say about the Kleenex Hand towels product. While many of them agree that the grimy cloth hand towels become a nuisance especially in the bathroom used by children. What is the solution besides washing that everyday? They loved the concept of these boxed filled towels, but they are packaged in an ugly box. No one thought they would have them out in their guest bathroom when they actually had guests. The box is designed to be placed upside down on a towel bar but many of us agreed our we don’t have towel bars in our bathrooms for small towels, we mostly have towel rings. DO THEY WORK? Here is our birthday girl once again making her soap product, which kept her hands green for several hours after this? Overall we agree this was a decent product that has some kinks to work through, mainly making them more pleasing to the eye. They are fine and much needed product, as is, for a bathroom or area where it is just your family. Here is the final product in the bathroom, so much cuter than the original for the guest room. I was given these items for the party but no other compensation was offered. all the opinions are my own. To learn more about House Party check out their website. I like the idea of using Kleenex hand towels during the holidays. I never thought to spiff up my tissue boxes for the holidays. I love it! It looks like your friends had a lot of fun. Great party! Great idea! 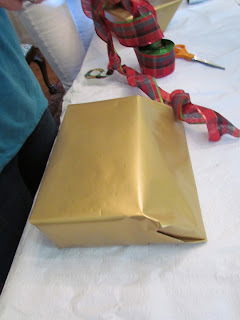 I never would have thought to wrap tissue boxes around the holidays. 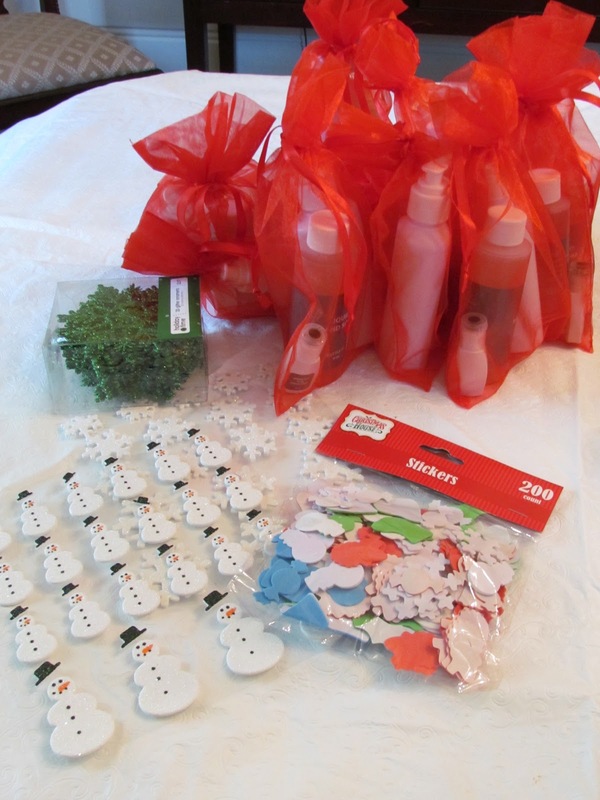 Great way to spruce up the bathroom, and you’re wrapping so many gifts anyway…What’s another box? I love how all the boxes turned out! So cute!